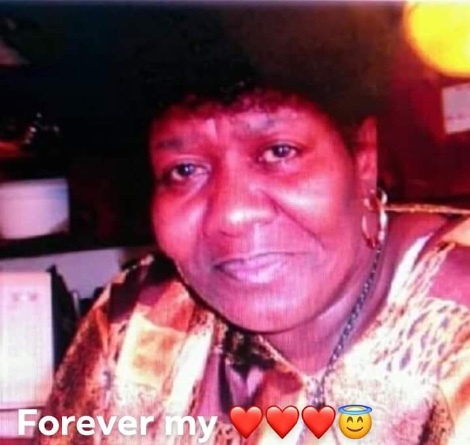 Marjorie Benneta Cone, 62, of Orangeburg, South Carolina fell into eternal rest on January 8, 2019. Marjorie was born in Waycross, Georgia to the late Benjamin Cone Jr. and the late Thelma Harris. She was educated in Yelow Springs, Ohio where she was raised by a very special Aunt, Evelyn Britton an a very special Uncle, the late George Britton Jr. After graduating from high school there, she attended South Carolina State University, majoring in Art Education. She also attended Orangeburg Technical College. She was affectionate and loving, known to all as "Coffey." Marjorie always had a kind word to say to someone or doing an affectionate deed when and if she could. Marjorie was known by all, as a gifted artist, specializing in portraits and for the beautiful roses that she hand painted on the windshield of cars. Marjorie receives Christ as her personal Savior in 2008. She later took as journey to encourage others through a series of morning text messages on their phones. She touched many many, as this helped us through our days. If one did not receive theses messages first thing in the morning, you knew something was wrong. She would not do anything without sending these, first. She truly enjoyed life. Left to cherish her loving memory, Marjorie is survives by her three children, Chertrise Cone-Britton, Walter Huggins and Tevon Cone, all of Orangeburg, South Carolina. Her 12 grandchildren, Kiniyis Gatewood, A'Myrah Cone, Mekhi Britton, Lyric White, Levi White, Rain Rose Huggin, Demantrey Britton, Javian Cone, Kaison Cone, Amari Cone, all of Orangeburg, South Carolina. Travis Gatewood of Elicabethtown, KY and Ava Huggins of Spartanburg, South Carolina. Kenneth (brother) and Wendy Britton of Dayton, OH, Brenda Cone Raiford (sister), Danny James (brother), Beverly (sister) and Ervin Johnson, Herman Harris (brother) all of Tampa, FL, Benjamin Cone III (brother) of Jackson Mississippi and Audrey (sister) and Walter Thompson of Chicago, II. A special nephew, Tevin Deas, a special God daughter, Tammy Seawright and a host special sons, daughter, nieces, nephews and friends. She was love by all and will truly be missed.